Going gluten free doesn’t have to mean going without dessert! 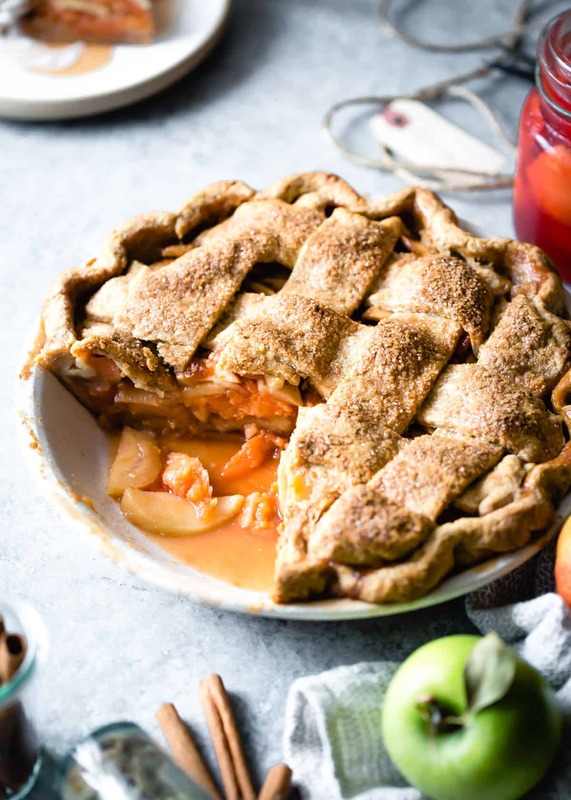 These gluten free pies, tarts, and galettes go beyond traditional pumpkin and apple, and they’re delicious enough to offer up at any holiday table, whether or not your guests are gluten free. The recipes use whole grain flours, nuts, seeds, and fruit for an added nutritional boost, and no gums ever. Great pie starts with great pie crust, and this is by far the best gluten-free pie dough I’ve ever worked with or eaten. A few key ingredients and techniques make the dough easy to work with, and it bakes up as shatteringly flaky as a whole-wheat crust. Use this in sweet and savory pies, tarts, galettes, quiches and turnovers. Maple-kissed walnut frangipane, tart apple slices, toasty buckwheat flour crust, and a drizzle of maple syrup. This stunner of a galette is maple-sweetened and easier than pie! 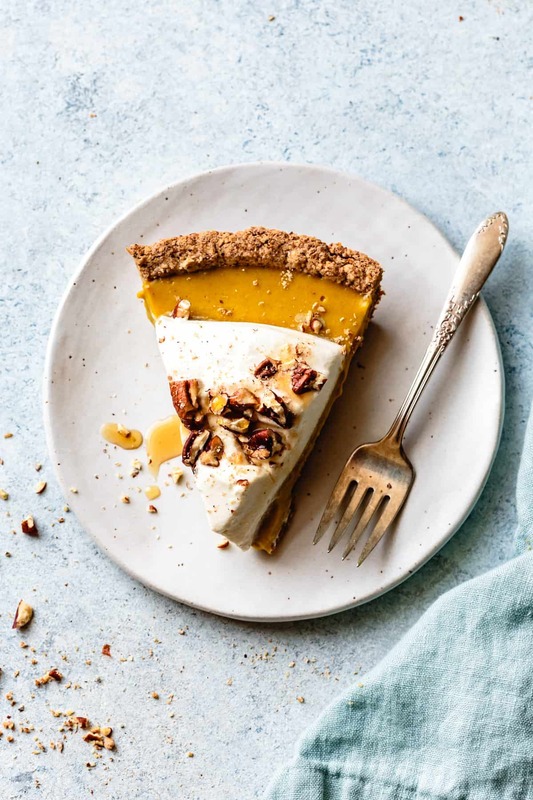 With a buttery pecan oat crust, creamy pumpkin pudding, and billows of whipped cream, this gluten free pumpkin cream pie is more delicate than traditional baked pumpkin pie. It gets a zip from freshly grated ginger and homemade butternut puree. 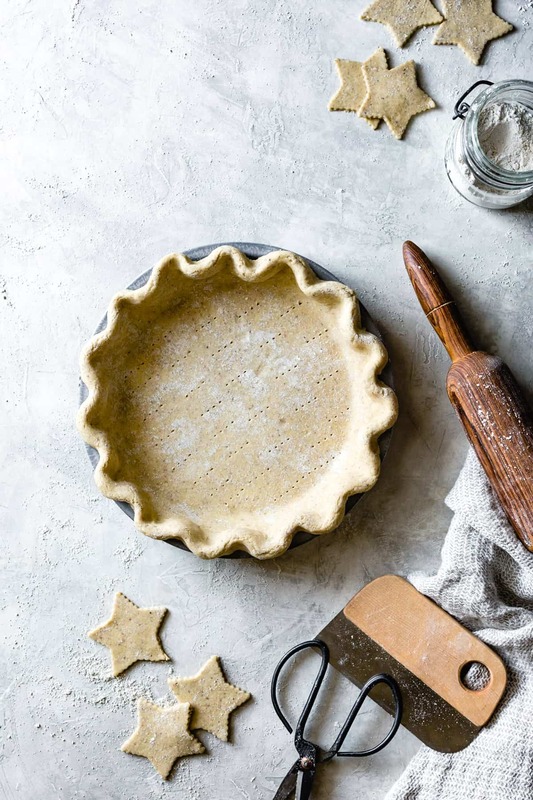 You can prebake the crust days ahead and assemble the pie the night before to ease day-of prep. Serve slices topped with a drizzle of maple and crunchy toasted nuts. 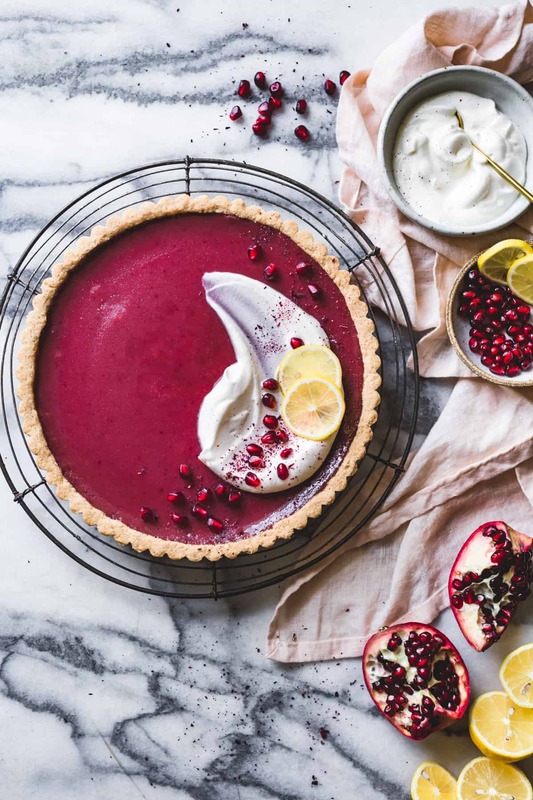 Tangy pomegranate curd kissed with hibiscus and lemon, all wrapped up in a buttery almond flour crust. This bright-tasting tart makes a welcome addition to winter meals, playing counterpoint to the heavy spices of the holidays. 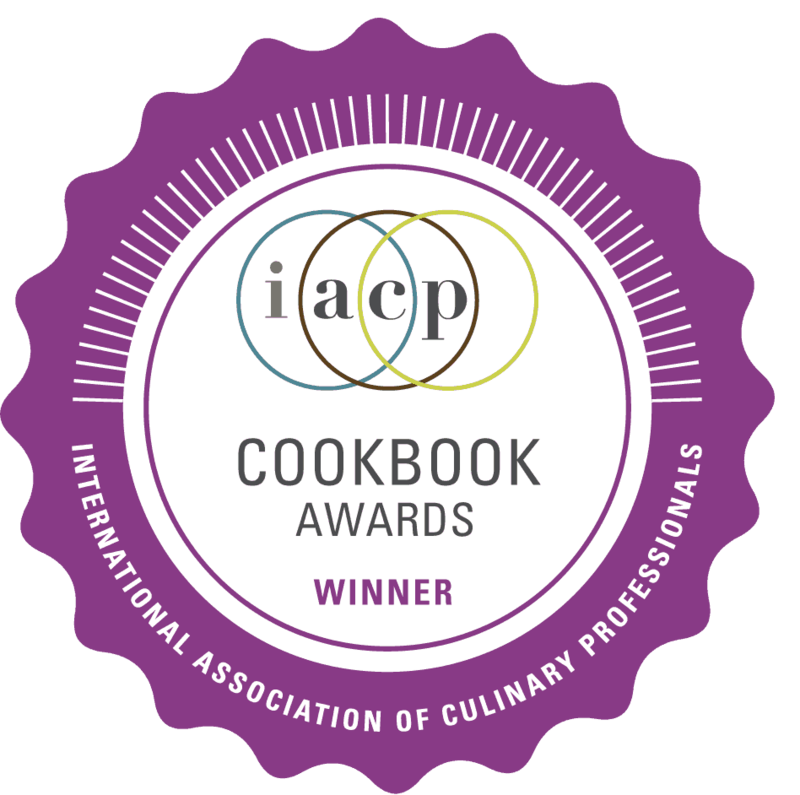 I adapted the recipe from the grapefruit elderflower tart in my book Alternative Baker – another winner! 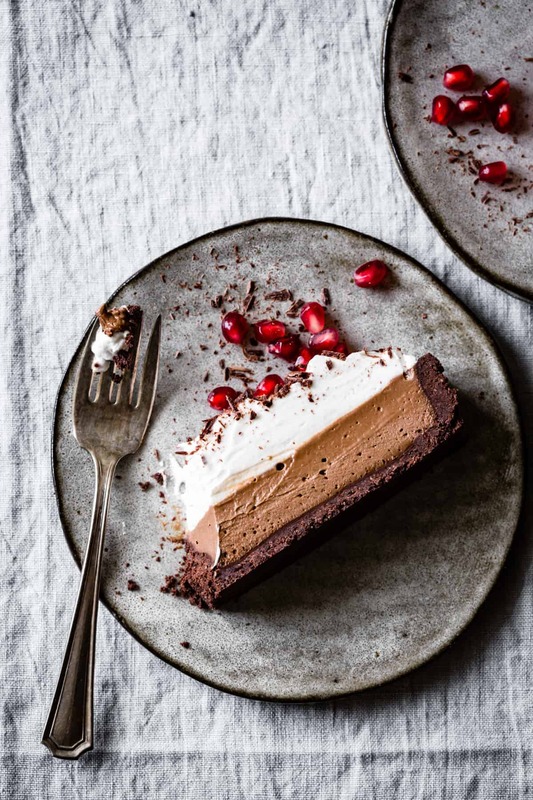 No one will ever suspect this chocolate cream tart of being gluten-free and vegan thanks to a buttery almond flour crust, silky cashew chocolate pudding, and fluffy coconut whipped topping. Garnish with pomegranate arils for a festive touch. 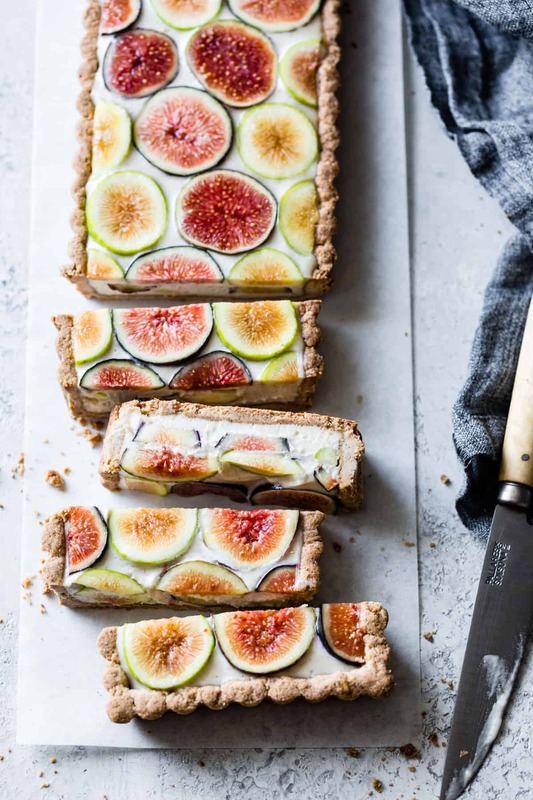 With luscious vanilla ginger cashew cream, layers of fresh figs, and a crumbly crust laced with earthy chestnut flour, this vegan and gluten-free ginger fig tart makes a glorious fall dessert. Flaky gluten-free pie dough wrapped around sautéed kale, roasted sweet potatoes, and oodles of cheese makes a spectacular vegetarian main dish (or side dish, or appetizer) for any holiday table. 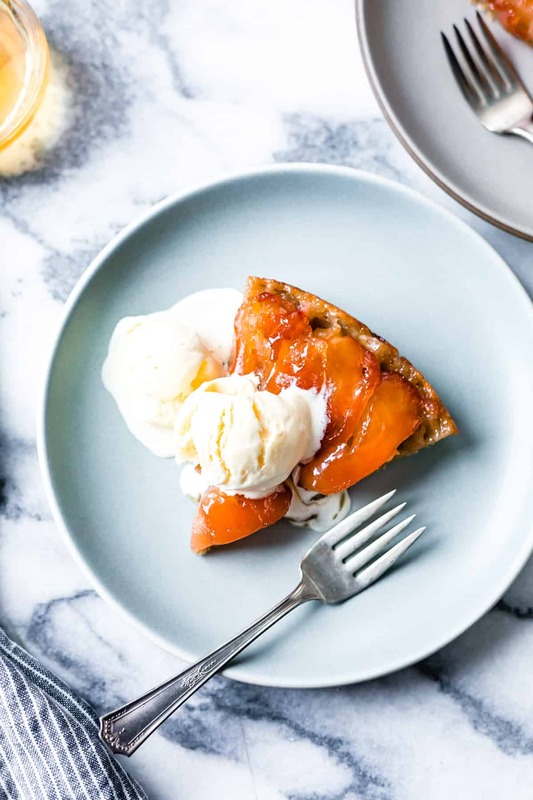 Apple pie gets jazzed up with spiced poached quinces, all tucked into a flaky GF crust. Look for quinces at farmers markets and specialty grocers – they look like knobby apples that smell like the tropics. If you can’t find quinces, up the apples and sugar to taste for a classic apple pie. 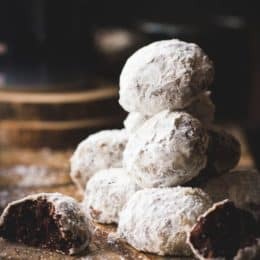 Four kinds of chocolate – cocoa, bittersweet, milk, and white – make a super creamy filling all nestled in a cookie-like hazelnut flour crust topped with whipped mascarpone swirled with more chocolate. I adapted this recipe from Marbled, Swirled, and Layered – an epic (though not gluten-free) baking book by my dear friend Irvin Lin. 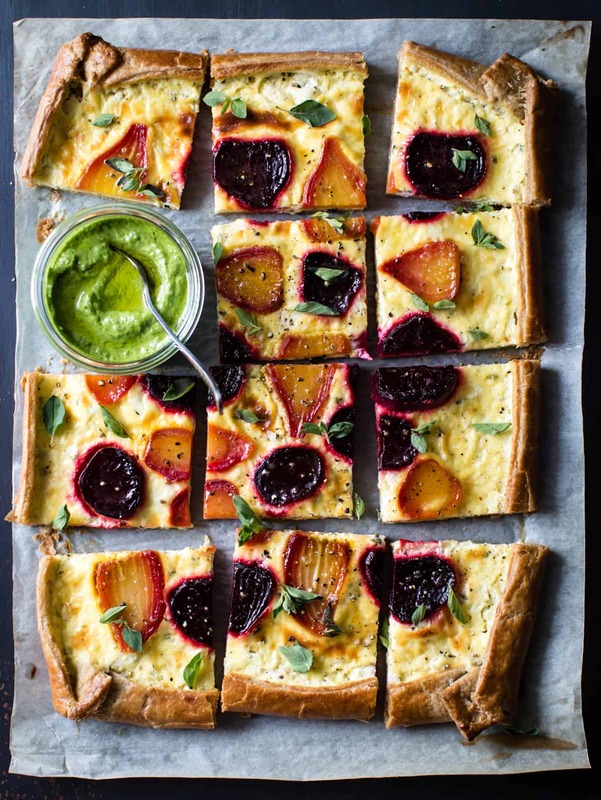 This savory, rustic tart makes use of the whole beet – from leaf to root. Roasted beets nestle into a pillowy ricotta goat cheese custard wrapped up in a flaky GF crust. Dollop slices with kicky beet green pesto. 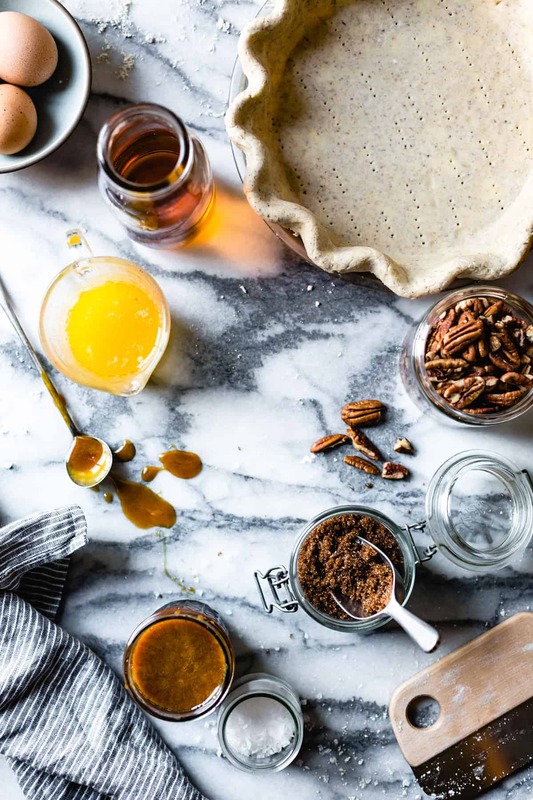 Classic pecan pie can be one-note: cloyingly sweet and overly rich. Not so for this pie, which gets a kick from bourbon, flaky salt, muscovado sugar, and sorghum molasses (or maple syrup). Serve slices with barely sweetened whipped cream to round out the flavors. 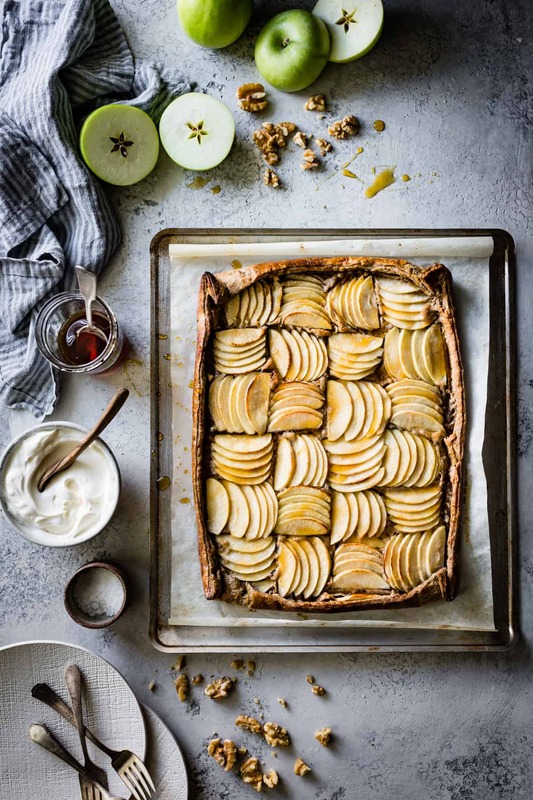 In this twist on the classic French upside-down tart, pink pearl apples stew in a buttery apple brandy caramel, covered with gluten-free flaky pastry, and baked. The result: deeply caramelized fruit full of apple flavor and crispy crust with burnished edges. Apple bliss. 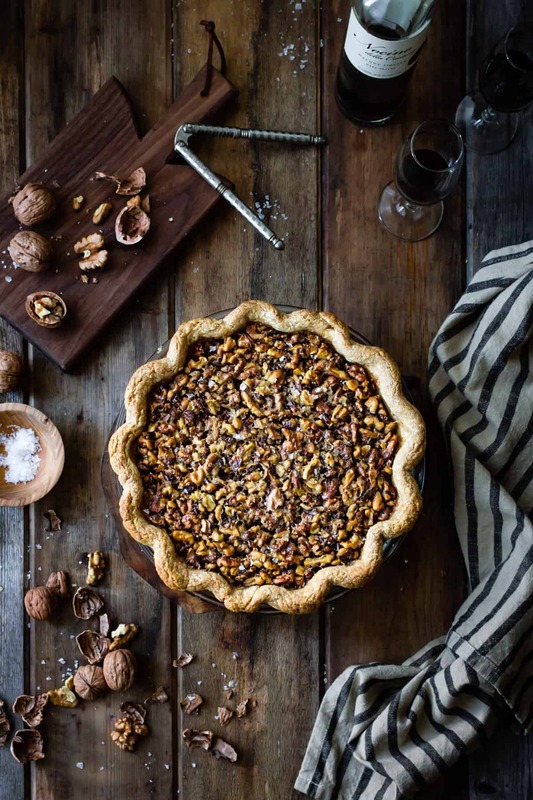 This nut-studded pie gets double walnut action from richly spiced Nocino – a liqueur made from green walnuts and spices steeped in grappa. 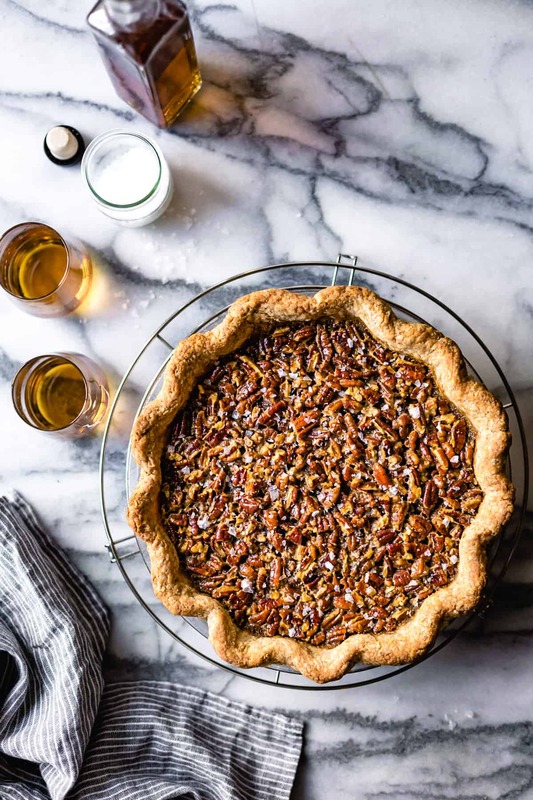 Paired with toasted walnuts, muscovado sugar, maple syrup, and a dose of flaky salt, this not-too-sweet pie makes a nice change from classic pecan. 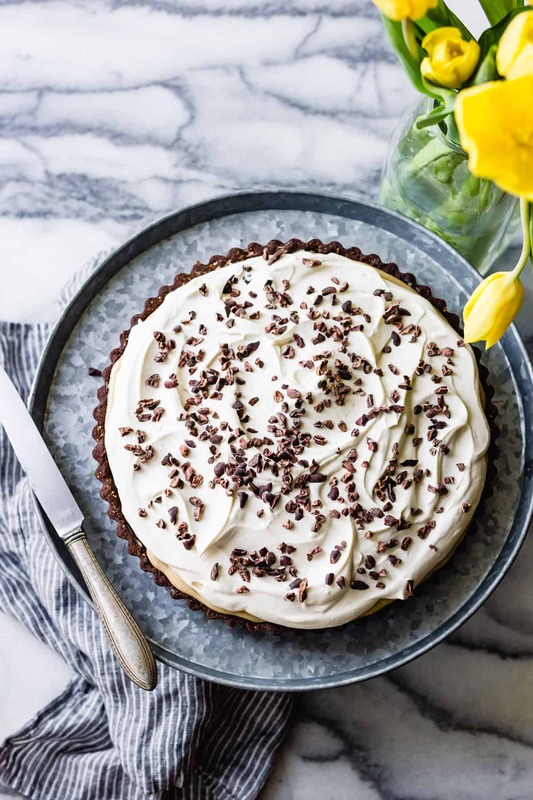 In this gluten-free riff on banana cream pie, an easy cocoa-buckwheat crust underlines butterscotch custard and whipped cream laced with rum, ripe bananas, and crunchy cacao nibs. 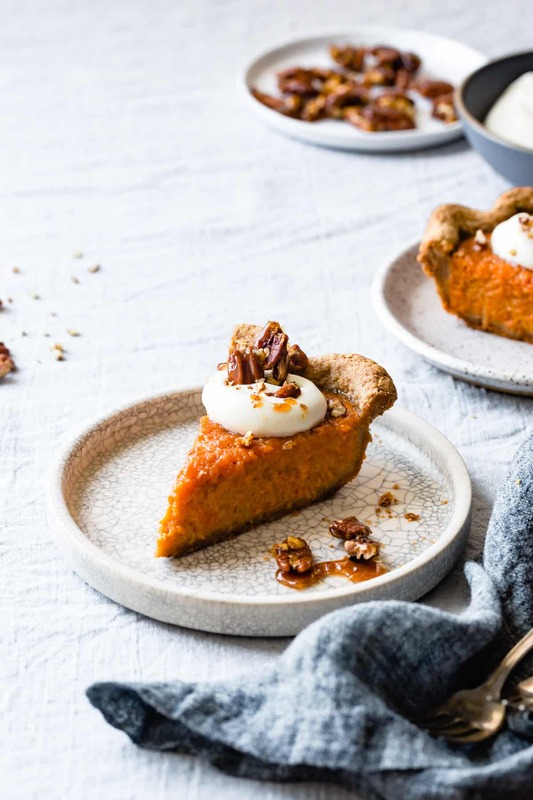 Buttery mashed sweet potatoes meet flaky crust kissed with the earthy taste of teff flour, all topped with candied pecans and whipped cream. 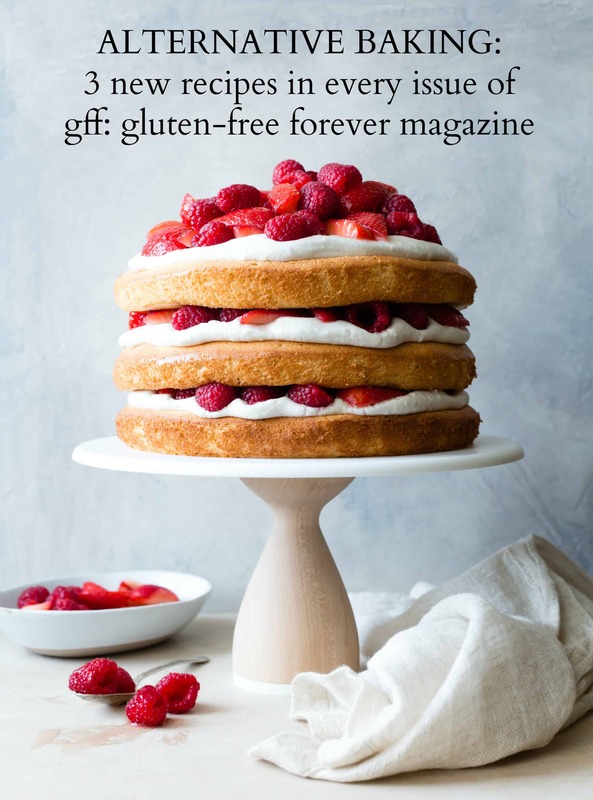 I developed this recipe for my Alternative Baking column in GFF Gluten Free Forever Magazine, available here for download or via snail mail. 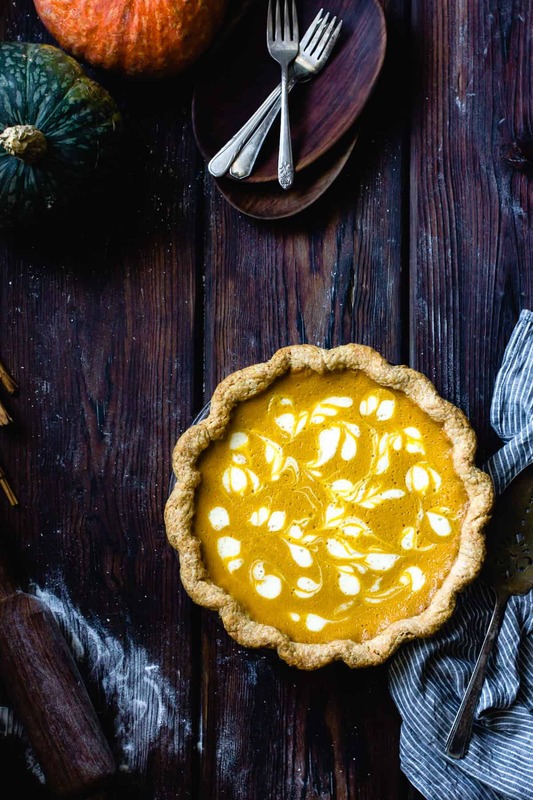 Take classic pumpkin pie to the next level with dense-fleshed, flavorful kabocha squash and pretty swirls. 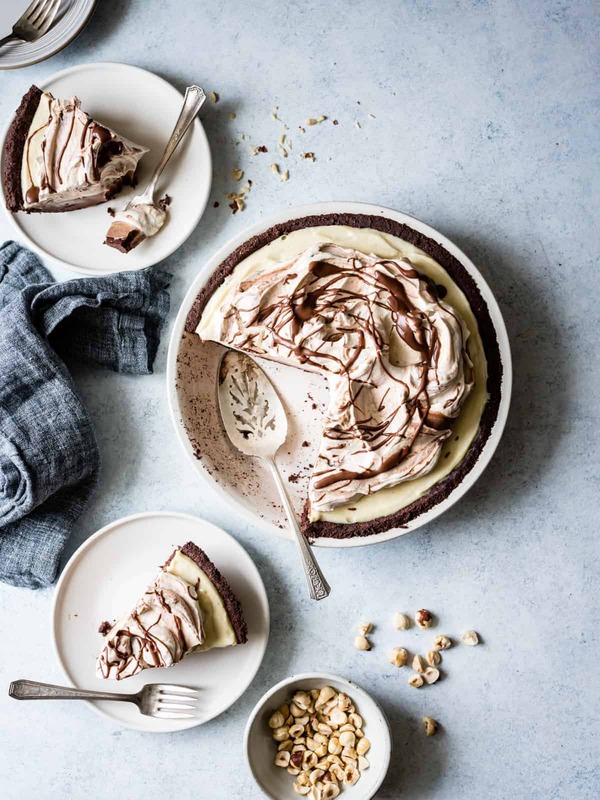 Ultra creamy and gently spiced, this pie gets a cheesecake-like tang from buttermilk and swirls of crème fraîche all wrapped up in a flaky GF crust. 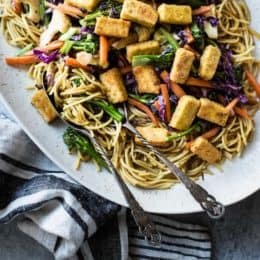 Find the recipe in my cookbook! 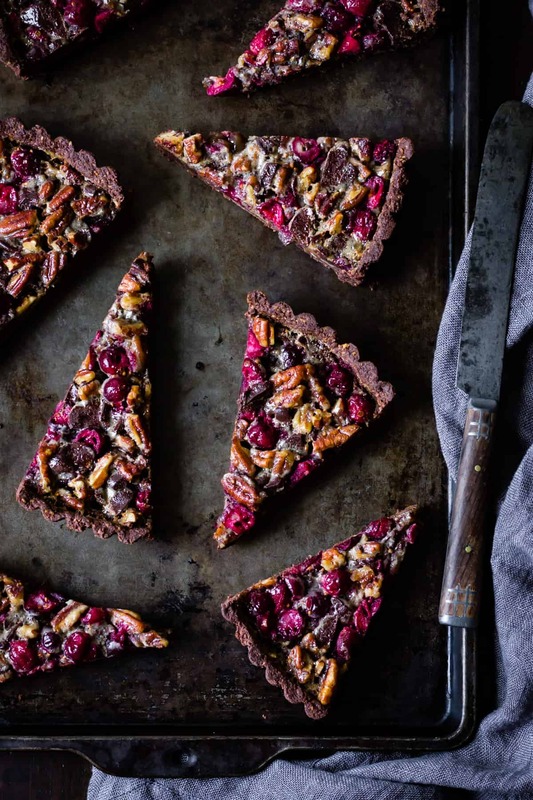 A salt-kissed cocoa crust and fresh cranberries provide a bright counterpoint to the richness of bittersweet chocolate and toasted pecans. 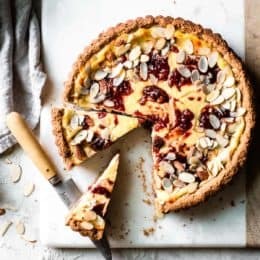 While testing recipes for my book, this tart gained cult status among my friends, including people who “find chocolate desserts boring” and others who “don’t have a sweet tooth.” These people fought over slices. When you try a wedge of buttery crust, gooey pecans and tart cranberries topped with a plume of whipped cream, you’ll see why. 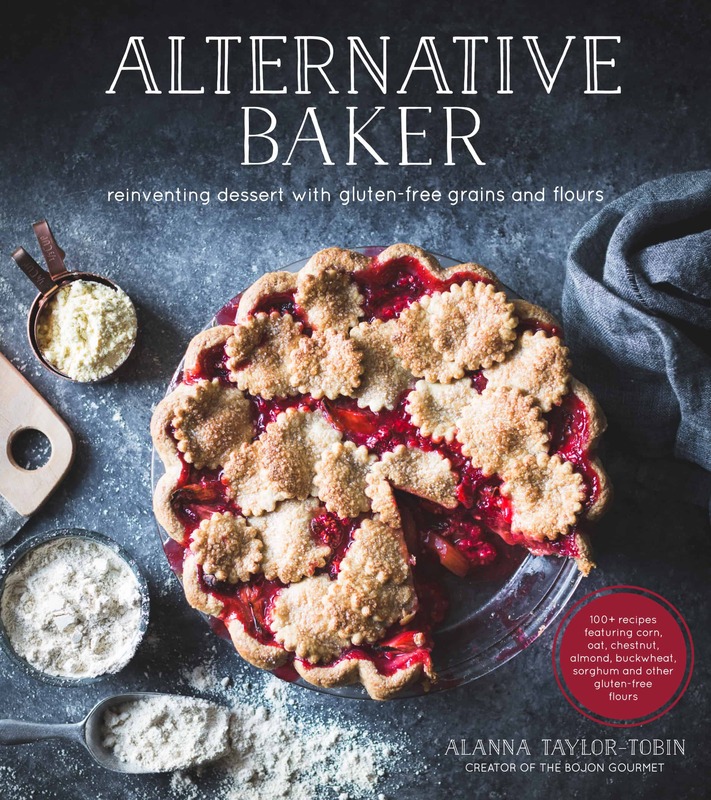 Find even more gluten free pies, tarts, and galettes in my book Alternative Baker: Reinventing Dessert with Gluten-Free Grains and Flours. Featured in GOOP’s gift guide! Such a delicious round up, I want a slice of everything! Ahh I want every single one of them. I wish I was at your house for Thanksgiving. Aw, I wish we could do Thanksgiving together too – how delicious would that be?! I am going to bake #14! We did #2 for Thanksgiving, and #6 last night. Sooooo good! 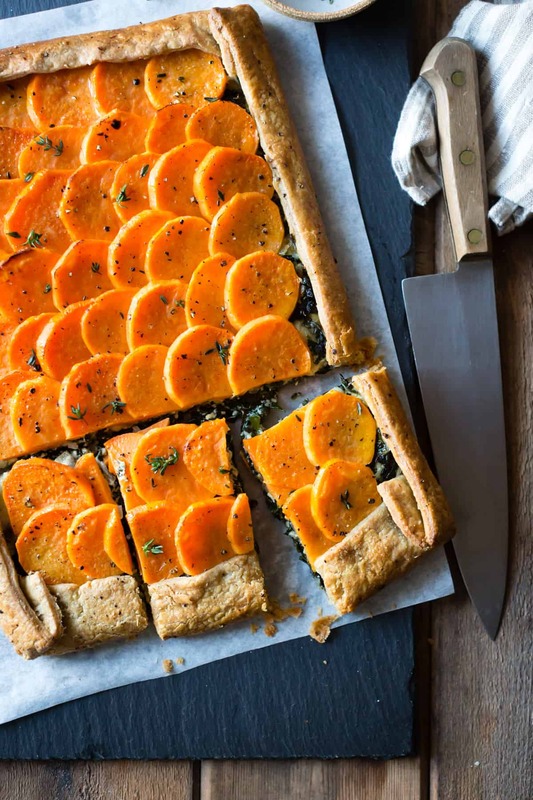 love all of these, don’t know where to start, but probably with the sweet potato galete, made savory with the cheese, since I love sweet potato and savory feels more appetizing than sweet right now! I feel you! Sweets can get to be a little too much this time of year. Please let me know if you try it!